The saliva Alcohol Test is a rapid, highly sensitive method to detect the presence of alcohol in saliva and provide an approximation of relative blood alcohol concentration. This test provides a preliminary screen only. A more specific alternate chemical method must be used in order to obtain a confirmed analytical result. clinical consideration and professional judgment should be applied to any test screen result, particularly when preliminary positive screens are indicated. Two-thirds of all adults drink alcohol. The blood alcohol concentration at which a person becomes impaired is variable dependent upon the individual. each individual has specific parameters that affect the level of impairment such as size, weight, eating habits and alcohol tolerance. inappropriate consumption of alcohol can be a contributing factor to many accidents, injuries, and medical conditions. 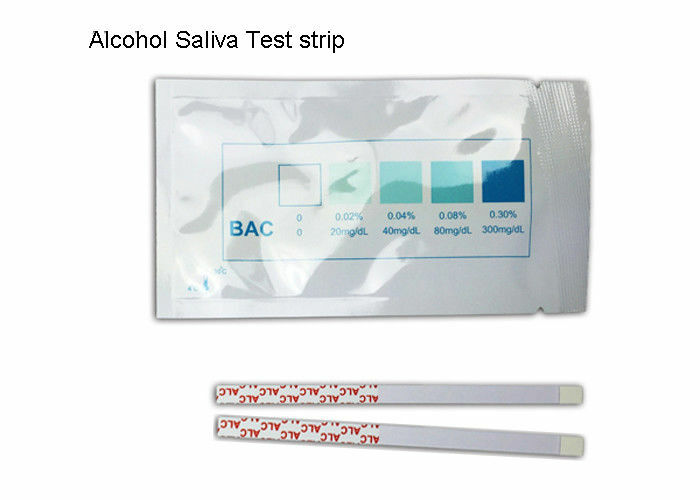 it is well established that the concentration of alcohol in saliva is comparable to that of blood.2,3 The saliva Alcohol Test consists of a plastic strip with a reaction pad attached at the tip. 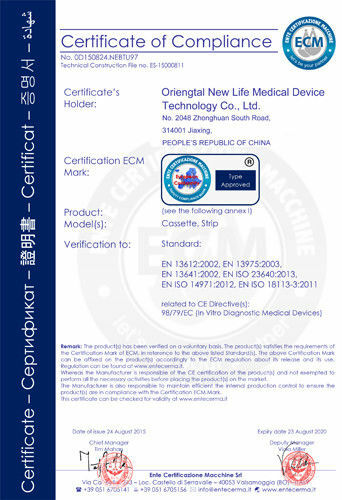 on contact with solutions of alcohol, the reaction pad will rapidly turn colors depending on the concentration of alcohol present. The pad employs a solid-phase chemistry which uses a highly specific enzyme reaction. 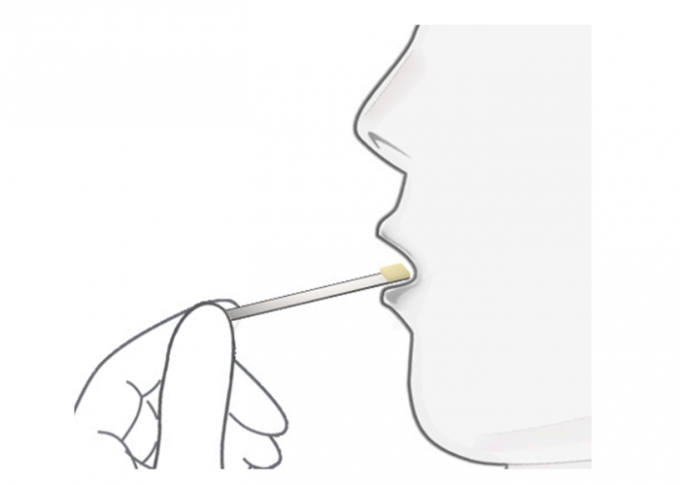 Alcohol Saliva test is an immunoassay based on the principle of competitive binding. Drugs that may be present in the oral fluid specimen compete against their respective drug conjugate for binding sites on their specific antibody. During testing, a portion of the oral fluid specimen migrates upward by capillary action. A drug, if present in the oral fluid specimen below its cut-off concentration, will not saturate the binding sites of its specific antibody. The antibody will then react with the drug-protein conjugate and a visible colored line will show up in the test line region (T) of the specific drug strip. The presence of drug above the cut-off concentration in the oral fluid specimen will saturate all the binding sites of the antibody. Therefore, the colored line will not form in the test line region. A drug-positive oral fluid specimen will not generate a colored line in the specific test line region of the strip because of drug competition, while a drug-negative oral fluid specimen will generate a line in the test line region because of the absence of drug competition. To serve as a procedural control, a colored line will always appear at the control line region (c), indicating that proper volume of specimen has been added and membrane wicking has occurred. Allow the pouched strip to equilibrate to room temperature (15-27°c) prior to testing. Abstain from placing anything in the mouth for fifteen (15) minutes prior to beginning the test. This includes non-alcoholic drinks, tobacco products, coffee, breath mints and food, etc. open the foil package and remove the device. observe the reactive pad on the end of the test strip. if the reaction pad has a blue color before applying saliva sample, do not use. For specimen collection, follow Procedure instructions on page 2 of this package insert. Saturate the reactive pad with saliva. (it usually takes 6-8 seconds to be saturated.) start timer immediately after saliva application. read result at two (2) minutes. 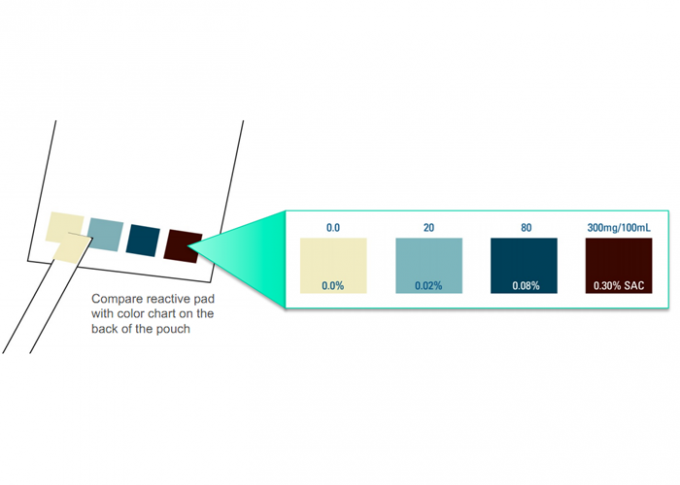 compare the color of the reaction pad with the color chart provided to determine the relative blood alcohol level. Positive: The saliva Alcohol Test will produce a color change in the presence of saliva alcohol. The color will range from light blue color at 0.02% relative blood alcohol concentration to a dark blue color near 0.30% relative blood alcohol concentration. color pads are provided within this range to allow an approximation of relative blood alcohol concentration. The test may produce colors that appear to be between adjacent color pads. Note: The saliva Alcohol Test is very sensitive to the presence of alcohol. A blue color that is lighter than the 0.02% color pad should be interpreted as being positive to the presence of alcohol in saliva but less than 0.02% relative blood alcohol. Negative: When the saliva Alcohol Test shows no color change this should be interpreted as a negative result indicating that alcohol has not been detected. Invalid: if the color pad has a blue color before applying saliva sample, do not use the test. Note: A result where the outer edges of the color pad produces a slight color but the majority of the pad remains colorless the test should be repeated to ensure complete saturation of the pad with saliva. The test is not reusable. 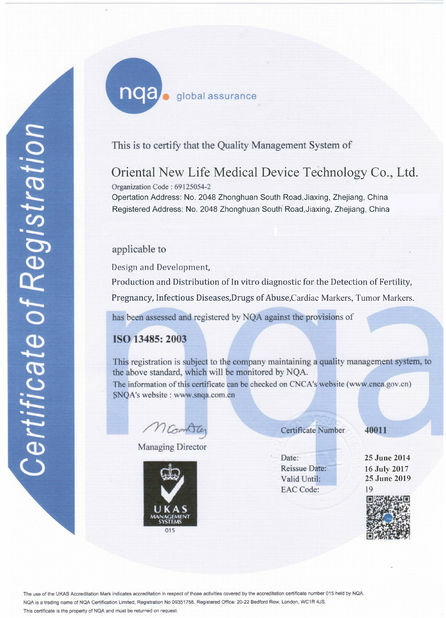 A procedural control is included in the test. A line appearing in the control region is considered an internal procedural control. It confirms sufficient specimen volume, adequate membrane wicking and correct procedural technique.